ISLAMABAD: The issuance of refunds by Federal Board of Revenue (FBR) decline by 24 percent yet the net collection for the first seven months witnessed huge shortfall. The FBR issued refunds Rs47.18 billion under all heads of duty and taxes for July – January 2018/2019 as compared with Rs62.07 billion in the corresponding months of the last fiscal year. Despite issuing lower amount of refunds the FBR could only register 3.28 percent growth in net collection during the period under review. The FBR collected Rs2,060 billion during July – January 2018/2019 as compared with Rs1,995 billion in the corresponding period of the last fiscal year. However, the FBR is behind Rs190.25 billion to achieve the target of Rs2,251 billion for the period July-January 2018/2019. 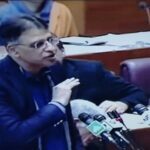 The FBR collected domestic taxes including income tax, sales ax and federal excise to the tune of Rs1,057.65 billion during first seven months of current fiscal year as compared with Rs1,050 billion in the corresponding period of the last fiscal year, showing nominal increase of 0.6 percent. The collection of duty and taxes on import stage, including income tax, sales tax, federal excise duty and customs duty to Rs1,003 billion during July – January 2018/2019 as compared with Rs944.82 billion in the same period of the last fiscal year, showing growth of 6.157 percent. High officials of the FBR two days back held a press conference to explain the slow growth in revenue collection. They said that the revenue collection against the target declined due to fall in collection from withholding tax from contracts, mobile phones and salaries. In the wake of significant shortfall in revenue collection, the FBR asked the finance division to revised downward the revenue collection for the current fiscal year. The revenue collection target for the fiscal year has been set at Rs4,398 billion. However, the government so far not considered to revise downward the target because of already widening of fiscal deficit.